In a city like London, one can get lost in the endless options of things to do. It’s almost unavoidable to become overwhelmed when deciding on plans. 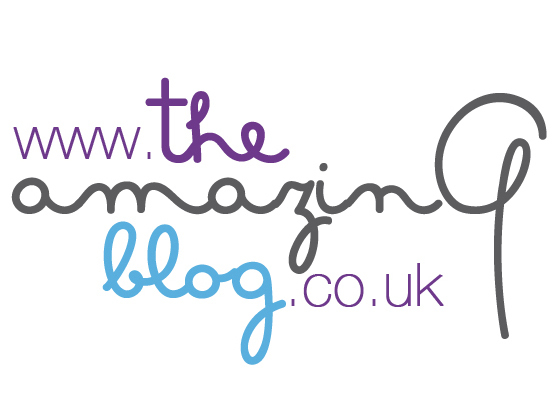 So, The Amazing Blog is here to help and put your mind at ease. Join us at the OPEN HOUSE in Hyde Park from Monday 9 July until Thursday 12 July. This four-day event is free to enter, and includes a free outdoor cinema, live music and activities! With a wide variety of food, OPEN HOUSE’s street food market will satisfy all of your cravings, and importantly, will keep your spirits high with pop up bars, serving from 12 pm onwards. Each day, attendees can to partake in Birra Moretti’s “taste tour of Italy.” Additionally, Upswing, the aerial circus company, will have performances and workshops from 4pm-9pm. Every night has a themed movie with showings at 5:30 and 8:30 pm. You can expect free Wimbledon Championship screenings, from 12 pm onwards, without the hassle of a crowded bar. On Tuesday through Thursday, stop by the Royal Parks Showcase and hear daily talks, go to the plant sale or ask for advice. Here’s a breakdown of each day. Starting on Monday, the event will kick off with family favourites: The Lego Movie (U) playing at 5:30 pm and Matilda (PG) at 8:30 pm. Live music will include Mister Kanish and Daytoner. Mister Kanish, a new artist on Open House’s line-up, began in 2008 and has since been mixing 90s style hip-hop, with folk and rock riffage. Afterwards, Daytoner will perform. Enjoy the sounds of baritone, sax, flute, keys, bass, drums and DJ. There is no reason that you cannot enjoy everything that OPEN HOUSE has to offer over the course of the four days. On Tuesday, welcome Freddie & the Freeloaders and London Gay Big Band. Freddie & the Freeloaders received national recognition for the live shows and inspired interpretations of golden era Soul and Motown. London Gay Big Band is a jazz orchestra of predominately LGBT musicians and vocalists. Chickenshed’s Tales is collaborating with Brit School’s Community Arts Practice and will have performances at 10:30 am, 11:45 pm and 12:45 pm. All shows last about an hour. At night, watch our personal favourites – Grease (PG) at 5:30 pm and The Greatest Showman (PG) at 8:30 pm. Can’t make it to Chickenshed’s performance on Tuesday? That’s OK! There will be three more performances at 10:30 am, 11:45 pm and 12:45 pm. Wednesday’s musical line-up invites back The London Gay Men’s Chorus, for the fourth year, and a new band to British Summer Time Hyde Park, Temple Funk Collective. Evening movie showings are Lion (PG) at 5:30 pm and The Grand Budapest Hotel (15) at 8:30 pm. To wrap up the event, OPEN HOUSE is bringing back the 80s. If you’re a fan of classics, then Thursday night’s outdoor cinema is for you. Bill and Ted’s Excellent Adventure (PG) will show at 5:30 pm and Flash Gordon (PG) at 8:30. Dance the night away with House Gospel Choir and Old Dirty Brasstards. We hope to see you there! Comment below what part of the event you’re looking forward to most.